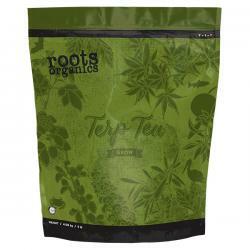 Roots Organics Terp Tea Grow delivers critical nutrition for heavy-feeding, high-yield plants. 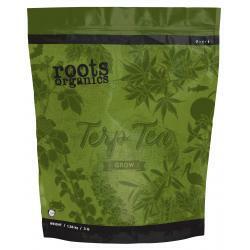 Recommended for both large and small-scale gardens, this high-quality dry fertilizer is simple, comprehensive, and completely natural. Our powerful one-part grow and one-part bloom formula can serve as base nutrition or as a supplement, and can be delivered in large batches or controlled point feedings. 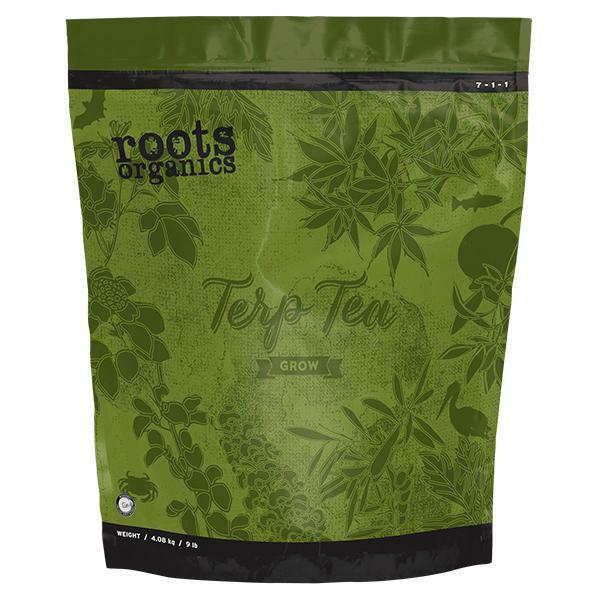 Amend any potting soil with this micronized vegetative nutrient to activate the aromatic power of your garden's natural terpenes.